A handsome young man lured us into a sumptuous chamber room and an unexpected sight. My two teens and I had come to Bagore-ki-Haveli in search of the world’s largest turban, not realizing that the renovated royal home also housed an extensive collection of folk arts. Doffing our shoes, we entered a large room sectioned into the jharokhas seen at havelis of Rajasthan. 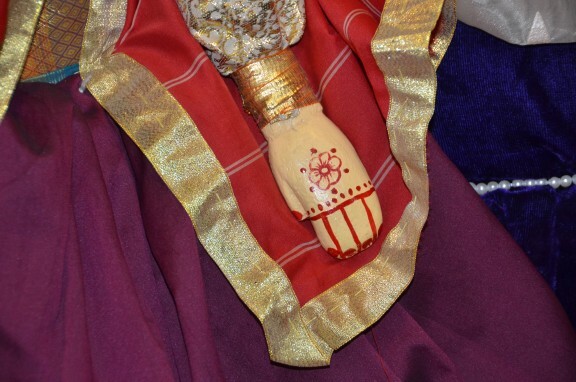 Holding court in the silk-cushioned jharokhas were intricately sculpted, ornately dressed…Indian puppets. 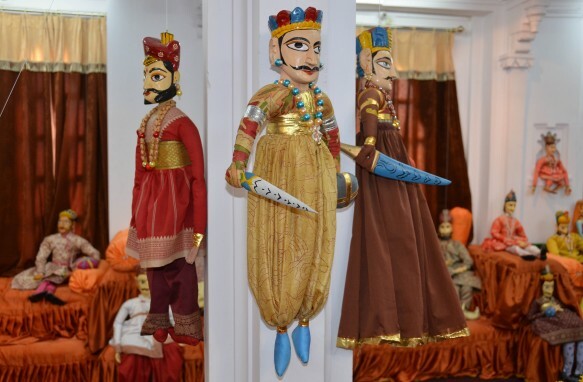 These puppets in India, known as Kathputli (Kath meaning wood and Putli meaning puppet,) are believed to be an expression of an art tradition going back thousands of years. 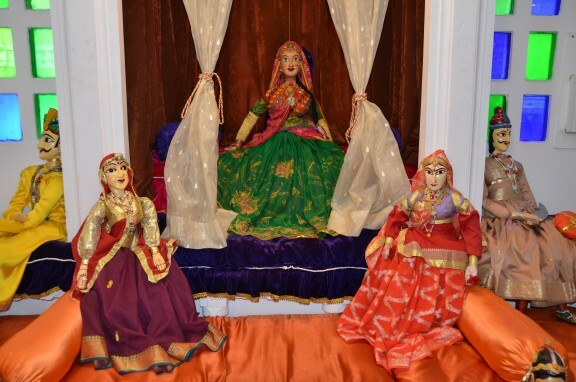 That history is apparent in the way the puppets are assembled as if gathered in the royal court of a maharaja and his wife, the maharini. …even a little scary. I couldn’t help but be reminded of Chucky, the horror film doll, as we were surrounded by creepy puppets. Not that anything is as frightening as the life-sized dolls accompanying me on our family travels in India. 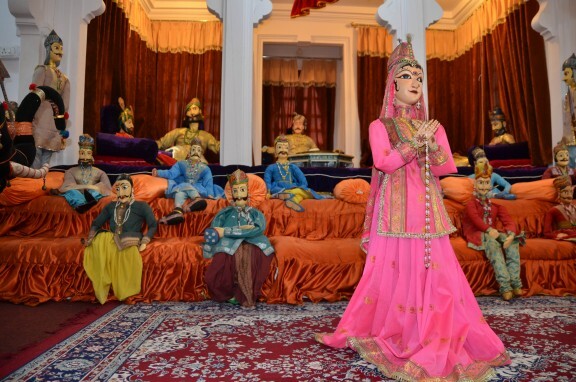 Go to see the world’s largest turban and the creepy puppets, stay for the fabulous Rajasthani dance performances at 7pm in the haveli’s courtyard. Next post: Run for the Planet – Help NATIONAL GEOGRAPHIC KIDS set two Guinness World Records!